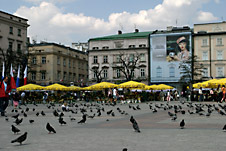 I spent 4 nice, sunny and warm days in Krakow, Poland. Krakow is one of the most beautiful old cities in Europe. It has long and interesting history. It is a former capitol of Poland. 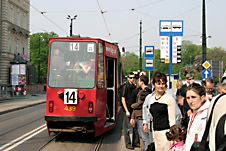 Krakow has a small old historic city center which is surrounded by a park from all sides. In the city there are a lot of restaurants, cafes, jazz clubs, bars etc. I also visited Oswiecim which is perhaps better known as Auschwitz. 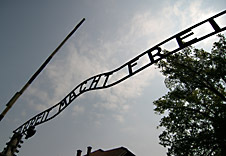 In Auschwitz there are actually two former nazi concentration camps which are just some hundred meters from each other. Both are now museums. The photos make me still shiver. The whole place is just incredible. The Wavel hill and castle To south of the city square just a few hundred meters lies the hill of Wawel. In the hill there are several historical buildings, among them the Royal Castle and cathedral. Krakow square The heart of the city is the square. In the square there are several cafes, just like in any other european old city. The square looks exatcly the same as in the 19th century, which you verify from old photographs. 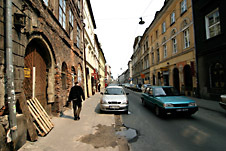 Kazimiertz is the old jewsih part of Krakow. Auschwitz and Birkenau Auschwitz and Birkenau are former nazi concentration camps which are now museums. Miscalleneous photos Miscalleneous photos mainly from the city of Krakow. Panoramas Various panoramas from the trip.